Do you find yourself lying awake at night? Plagued with headaches, irritability, fatigued? We all know how stress can affect out everyday lives, but what about stress affecting our teeth? Do you ever catch yourself clenching your jaw? Grinding your teeth together? Do you not even realize you are doing it? Bruxism (chronic teeth grinding) plays a huge role in oral health and can severally damage the health of your teeth. What causes bruxism? Stress happens to be one of the main contributors to this affliction. 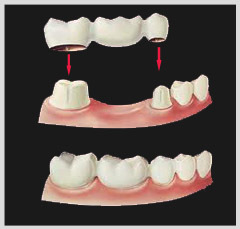 After continuous pressure from grinding and clenching, teeth are left eroded with structural damage. It can also increase your risk of cavities and leave you with painful tooth sensitivity. We can provide you with some overnight relief for that annoying teeth grinding. Being fit with a customized night guard serves as a barrier between the constantly eroding tooth surfaces preserving your teeth instead of wearing away at your enamel. We use a pressure laminated procedure that offer superior fit and comfort that will offer instant relief from grinding. With just one nights use you will instantly be able to feel a significant difference in how you feel and a noticeable different in your quality of sleep. While we take an impression of your teeth for a night guard we can also cross over and use that same impression for custom fit whitening trays that will give you sensitivity free, long lasting, and deep impacting results in the privacy of your own home at your leisure. If you think you might suffer from bruxism, please contact Dr. Mariana Savel, DDS Staten Island Dentist Office online http://drmarianadds.com/contact-us/ or by phone at (718) 494-2200 to schedule an appointment and to find the best relief for you.